Founded in 2011, Marr Arnold Planning, LLC is a women-owned professional consulting firm with offices in Iowa and Ohio. Marr Arnold Planning principals, Summer Marr and Sarah Arnold, collectively have more than 25 years of experience in aviation and airport planning. Summer and Sarah worked closely together at a nationally recognized multi-modal transportation consulting firm from 2000 until 2011, at which point they joined forces and started a new venture: Marr Arnold Planning. Summer and Sarah have a depth of knowledge that is unparalleled, having worked on statewide projects in more than 25 states and providing master planning and air service analysis services to more than 50 general aviation and commercial service airports in more than 20 states. 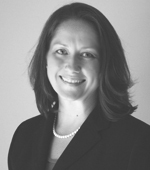 Summer Marr began her career in 1999 as a consultant for a nationally recognized transportation consulting firm. Prior to founding Marr Arnold Planning in 2011, she was a project manager and senior aviation planner working on numerous airport and aviation system planning projects of varying size throughout the United States. Her areas of expertise include project management, aviation system planning, economic impact analyses, airport master planning, activity forecasting, airport land use and development, public outreach, and special aviation studies. During her career, Summer Marr has served as Project Manager, Deputy Project Manager, and Lead Planner on more than 20 aviation system plans, economic impact studies, and compatible land use studies for more than 1,000 airports; and airport planning for more than 35 individual general aviation and commercial service airports. She is intimately aware of the relationship that airports have at a statewide level and her individual airport master planning experience compliments her statewide knowledge from scope and budget creation to developing unique features to address individualized airport and state needs to public involvement. Summer earned a BS in Business Administration from Shenandoah University in Winchester, Virginia. Sarah Arnold began her career in 1998 as an air service data analyst where she compiled and analyzed commercial airline data. She has extensive experience in the sources and methods of airport-related research and the techniques of statistical analysis in addition to a thorough understanding of the industry and current trends. Prior to founding Marr Arnold Planning in 2011, she was a project manager and senior aviation planner at a nationally recognized transportation consulting firm. 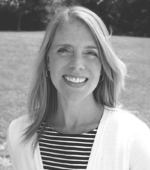 Sarah’s areas of expertise include statewide system planning, commercial service analysis and air service development, master planning, forecasting, compatible land use planning, through-the-fence planning, and economic analyses for airports of varying size. Over her career, Sarah has been involved with all levels of project development from planning and analysis to public involvement and project management. She has proven success in developing state system plans, including analyzing overall state airport needs, air service needs, and economic impact of airports in states. Sarah earned a BBA in Business Administration and a BS in Geography-Urban Planning from Ohio University in Athens, Ohio.